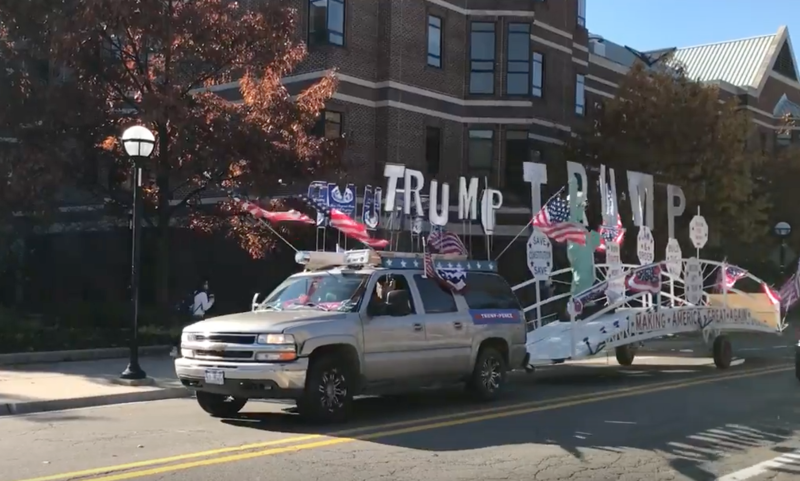 On the same day that Barack Obama was campaigning for Hillary Clinton in Ann Arbor, a “Trump Train,” a caravan with loudspeakers, a float and plenty of American flags rolled by. In Ann Arbor, which is expected to overwhelmingly support Clinton and other Democrats in tomorrow’s election, most students seemed surprised to see such a showing for Trump and the caravan itself was often greeted with laughter. Other passersby were simply enjoying the frenzy of political activity that has been present on campus since the beginning of the semester. Several students commented that they loved the excitement and were eager to cast their ballots tomorrow and, although they didn’t support Trump, found the caravan amusing.